In the early days of my Christian experience I attended a church that was part of the “faith message,”—health and wealth, prosperity, etc.—and so these verses in Proverbs were well known to me. Jesus’ teaching in Matthew was not unknown; because one could not serve money we were to give it, to our church and its leaders, and to other “reputable” ministries in the same movement. Of course, in giving we would receive, for as the verse says, “the blessing of the Lord, it maketh rich” (KJV). Thus we have an Old Testament promise of prosperity, or at least, an acknowledgement of diligence leading to success and riches, and a New Testament teaching condemning the pursuit of wealth. The problem, of course, is that I am wealthy. Exceedingly so, when considered with a global perspective. Even when I struggle to pay the bills, the truth is, I am rich. Old Testament wisdom literature, based on observations of life, advises the reader to work diligently, to gather and store up their wealth, and thus to see accumulation as a reward. The gospels on the other hand, routinely condemn such a pursuit of wealth, and surely the gospels and the teaching of Jesus must trump the Old Testament? So, then… I am already rich, loaded down with possessions, and still I accumulate. Especially books! But not only books. I hunger for success and acclaim. I hate not having enough money to do some of the things I would love to do, like travel and holiday whenever I like. I don’t seem to hate not having enough money to give… It would appear that in some ways, then, that I am hopelessly compromised by mammon. Resolved – Yet Still Listening! I am a servant of his name, his kingdom, and his will. Yet nor will I despise success if God graciously gives it. through indolence, laziness, false ideological commitments or lack of courage. and courage to live and walk it. I wish I could say that in the intervening years I have followed through on this pious expression of devotion. Sometimes I have. Often I have failed. Yet God is good, and God’s blessing has enriched my life in more ways than I enumerate. The richest blessings are those everyday provisions of grace we often take for granted: an opportunity to work, the love of a faithful spouse, the delight of a healthy grandchild, friends who care, a few moments of peace to write a blog post, food on the table, food in the cupboard, a bed to sleep in and a roof overhead, friendship, the respect and encouragement of peers. The list goes on. And so we return to the central question: what am I to do with all this grace? It is not enough just to be rich; how can I be rich toward God? Thank you to Vicki Lorrimar for this post. Part 1 of the essay was posted yesterday. The full version of this essay with references and notes can be found at Vicki’s Academia.edu page. Herein lies one of the major problems with Harris’ reasoning. While science has the potential to provide us with substantial information concerning human well-being, it does very little when it comes to providing the necessary impetus to implement these insights in our lives. Even experts in neuroscience, psychology and behavioural sciences, with their superior understanding of cognitive biases, irrational behaviours and impulse control, make choices that are selfish, or prioritise fleeting pleasures over long term well-being. To argue that further advances in these fields will translate into greater well-being seems overly optimistic. How would Harris have us obtain the motivation necessary to do what is right? He envisions a society in which hidden lie detectors keep us honest. Advances in neuroimaging technology will allow the monitoring of truthfulness in particular contexts e.g. the courtroom or job interview. Even Harris concedes, therefore, that while science might increase our understanding of human behaviour, and provide the technology to monitor it, external enforcement is required to actually motivate people to do the right thing. Robinson raises an interesting issue when she questions the identity of the invisible accuser. Whose assumptions will be programmed into these imagined devices? Throughout The Moral Landscape, Harris often seems more concerned with providing a critique of religion than in establishing the sufficiency of science for determining human values. It is as if he believes that the latter conclusion will proceed directly from the former i.e. religion does not always produce ideal societies, therefore we must abandon it in favour of science as the true source of moral knowledge. Harris’ analysis of religion in this volume is characteristically belligerent, not just atheistic but aggressively anti-theistic. He caricatures religion as the antithesis of intelligent thought, and selectively cites only the worst examples of faith in support of his argument. His understanding of religion aside, however, Harris is operating on the basis of flawed logic. He takes two disconnected arguments: (1) scientific research can provide information about what makes us happy and healthy, and (2) religion is often (in his view) responsible for impeding scientific progress and producing vast suffering, and combines them to arrive at his final conclusion that science alone can provide us with a sufficient and objective morality. Harris argues that “religion and science are in a zero-sum conflict with respect to facts.” It is unclear how he has arrived at this conclusion without attributing it to his obvious distaste for religion. Several times in his account of the usefulness of neurophysiological research Harris argues that science helps – indeed, science can assist immensely in determining which measures might increase overall well-being. This does not eliminate religion from the moral sphere, however. Harris also overlooks the fact that a lot of contemporary research into neural impulses and human behaviour is taken up by, or even funded by, marketing bodies interested in harnessing this knowledge to bring about increased sales of their products. This fosters a consumerism that concentrates wealth into the hands of fewer people and is likely to have a detrimental impact on natural resources – clearly not the road to greater human flourishing. On the contrary, David Bentley Hart points out that certain advancements in science required the scientific mind to set aside religious “superstitions” regarding the soul and the image of God within – the development of nuclear weaponry, the eugenics movement, and medical experimentation on prison populations are just a few of the examples he gives us. Scientific progress does not have the morally pure track record Harris would have us believe. Harris’ thought betrays a dependence on modern assumptions about truth and absolutes. Though he claims to be well-versed in philosophy; though in fact he completed an undergraduate degree in the field, Harris writes as if unaware of the postmodern shift. The Enlightenment quest for a universal epistemological foundation has been criticised by the likes of MacIntyre, and replaced with the view that rationality is tradition-dependent. The stridence of the New Atheist approach is rather embarrassing in the current postmodern climate of philosophical modesty and tolerance. With philosophers and theologians alike moving into a new paradigm in which appeals to universal reason and truth are replaced by contextual and narrative approaches to meaning and morality, Harris’ approach cannot help but come across as stale. Though he diverges from the tired atheist argument that morality is simply the outworking of our evolutionary impulses, Harris’ approach fails to provide an alternative source for our concern over morality. It is true that scientific insights can assist in increasing moral knowledge; however they are not exhaustive. Not only is science unable to justify well-being as the concern of morality, it cannot provide the motivation to consistently overcome baser human instincts in making decisions that impact well-being. 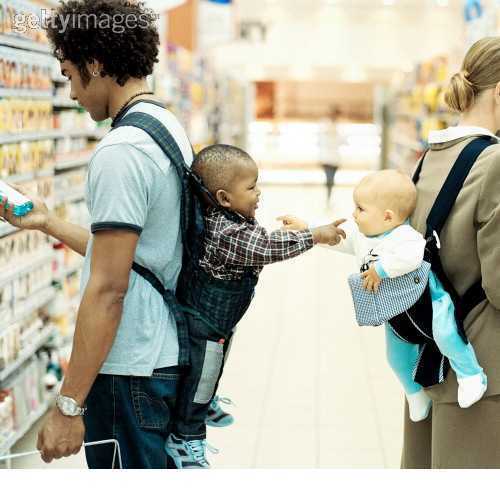 Our ethical choices must derive their meaning and conviction from another source. The aim here is not to provide an argument in favour of any specific religion, but rather to evaluate Harris’ assertion that science alone can determine human values. Harris is most convincing when writing on his subject of expertise – neuroscience. 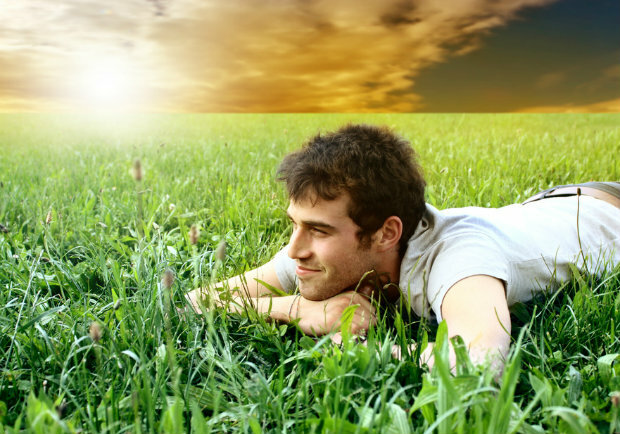 It is true that brain studies are producing interesting insights into how we might improve our sense of wellbeing. Behavioural economics and the science of happiness are burgeoning fields. The existence of scientific facts about human nature that have important moral implications is not a new idea, but rather one that sociobiologists have been arguing for decades. This does not pose any problem for religion, however, or for the existence of God. Harris’ zero-sum conflict is apparent only to him. There need be no antagonism between the capacity of science to discover more about what leads to well-being, and the role of religion in providing both the motivation and ability to integrate this knowledge into our lives. It seems that Harris’ antipathy toward religion causes him to overstate the potential of scientific research in determining morality, and to overlook its many shortcomings. The ’moral landscape’ envisioned by Harris is little more than wishful thinking on his part; when it comes to moral discourse, religion is likely to persevere. Thank you to Vicki Lorrimar for this post. The full version of this essay with references and notes can be found at Vicki’s Academia.edu page. Many consider morality to be the purview of religion and not science. Stephen Jay Gouldarticulated this thinking best in his argument that science and religion each have “a legitimate magisterium, or domain of teaching authority,” and that these magisteria do not overlap. For those who subscribe to this view, science deals with facts about the natural realm, while questions of morality or purpose fall exclusively within the domain of theologians and philosophers. 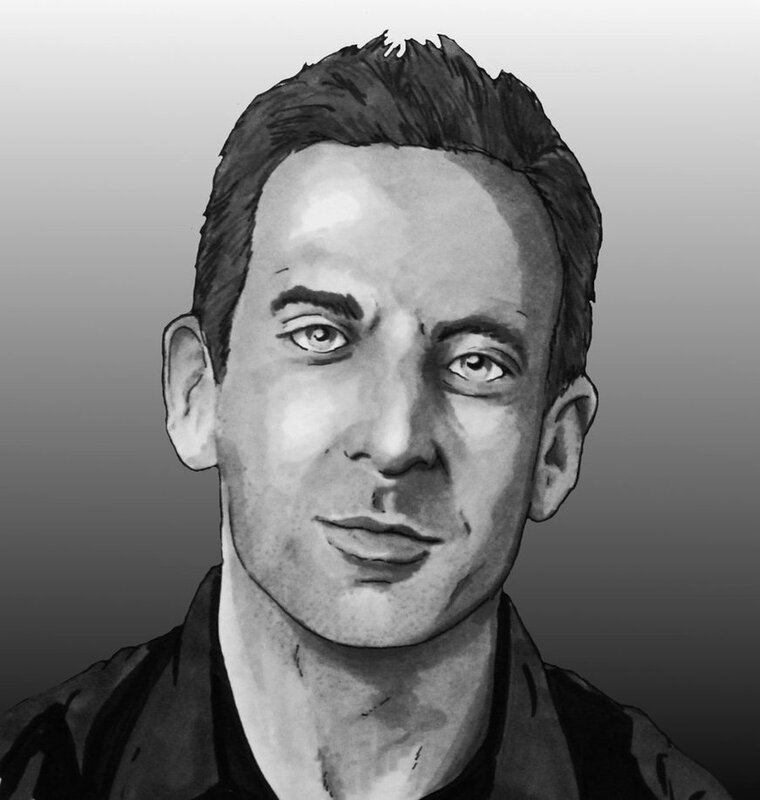 Sam Harris, in The Moral Landscape, challenges this prevailing understanding that science has little to contribute to moral discourse. Instead, Harris defines morality in terms of human flourishing and locates a moral compass in biological sources. According to Harris, “only a rational understanding of human well-being will allow billions of us to co-exist peacefully” – and such a rational understanding precludes any input from religion. Drawing momentum from the current popularity of behavioural economics and the science of ’happiness,’ Harris argues that an increasing understanding of neurophysiology promises a morality that is entirely determined by science. Harris challenges the “firewall” that has been in place between facts and values ever since Hume drew his ‘is/ought’ distinction. 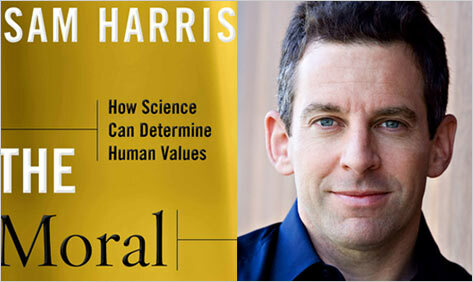 Values, according to Harris, translate into facts that can be scientifically understood. As a neuroscientist, Harris considers the human brain to be the nexus of social, emotional and moral development. Beliefs about values and beliefs about facts seem to arise from similar brain processes – therefore values are derived from facts about how our brains interact with the world. Harris contends that “science can help us find a path leading away from the lowest depths of misery and toward the heights of happiness for the greatest number of people.” Chopra is quite right when he describes Harris’ account as “gussied up old-fashioned utilitarianism.” The inherent problems in such an approach have long been established in the literature. Ewing, for example, posed the question: “Suppose we could slightly increase the collective happiness of ten men by taking away all happiness from one of them, would it be right to do so?” Harris would answer ’yes’ – in fact he poses an even more extreme version of this question himself and answers in the affirmative. Harris does acknowledge the dilemmas arising from consequentialism, however persists in his belief that it must form the basis of morality. The issue of individual justice aside, there remains in the utilitarian approach the challenge of discerning which actions will result in the greatest happiness for the greatest number. According to Harris, science is much more clear-sighted in determining the consequences of behaviour than we are! In reality, it is often difficult to weigh the far-reaching effects of any given action, another problem acknowledged yet not addressed by Harris. If a consequential approach to ethics were to be accepted, is well-being the most appropriate criteria by which actions are assessed? The term itself is rather vague, although Harris appears to employ it interchangeably with happiness and human flourishing. All religious and philosophical notions of morality are reduced to a common concern for well-being. Harris imagines an unlikely scenario in which an honour culture might result in a high level of human flourishing, and concludes that killing for the sake of honour would then be morally acceptable. This moral reasoning appears dubious at best. Even if maximal well-being were considered a sufficient basis for morality, we must ask how this end goal is selected in the first place. Harris claims that “once we begin thinking seriously about human well-being, we will find that science can resolve specific questions about morality and human values.” However, what directs us to consider human-wellbeing seriously? Science does not supply us with the notion that well-being should be our ultimate concern – Harris has arrived at this conclusion by some other means. Let us again assume for now that the optimisation of human well-being is indeed an adequate foundation upon which we may construct an ethic. In yet another statement of his thesis, Harris argues that “science can, in principle, help us understand what we should do and should want – and, therefore, what other people should do and should want in order to live the best lives possible.” Having attained such knowledge, how do we then put it into practice? We already know that driving our cars at reduced speeds, or removing unhealthy sugars from our diet, has a positive impact on well-being – but this does not stop many people from speeding on a regular basis or reaching for the slice of cake instead of the piece of fruit. There is a significant gap between knowing what is right and doing what is right. I just received notice of an inaugural Women’s Theology Conference being conducted in Brisbane in July this year. 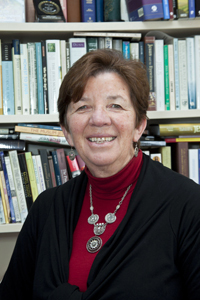 The featured speaker is Elaine Wainwright, until recently the Richard Maclaurin Goodfellow Professor in Theology at the University of Auckland. The Call for Papers is open until June 15 for anyone interested. 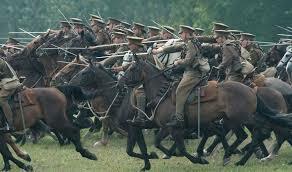 The horse is made ready for the day of battle, but victory belongs to the Lord. Should this verse be read in terms of an overarching divine providence in which every outcome is understood in terms of divine will and causality? Or might it be read as a piece of common sense wisdom which has observed that no matter how thorough the preparations made, one cannot always anticipate the results of one’s decisions and actions? The plans of the heart belong to man, but the answer of the tongue is from the Lord. All the ways of a man are pure in his own eyes, but the Lord weighs the spirit. Commit your work to the Lord, and your plans will be established. The Lord has made everything for its purpose, even the wicked for the day of trouble. … The heart of man plans his way, but the Lord establishes his steps. It is a well-established fact that in the Old Testament view YHWH is the agent or cause of all that happens, even in the mysterious area of human activity. But it is equally clear that human beings cannot evade responsibility for their actions. They cannot, as it were, blame the divine activity. The entire thrust of the prophets, the condemnation of the people collectively and individually, rules this out. The Bible does not speak of free will, but that idea is presupposed. … But the interesting fact is that Israel never really struggled with the problem of human freedom and divine determination. This was an issue for later theologians, both Jewish and Christian, and it still remains without an adequate “explanation.” Both sides of the question are affirmed equally in the Bible, almost without awareness of the problem (Murphy, Proverbs (WBC), 125). Murphy is certainly correct to note that this discussion continues even to the present day. Providence remains mysterious in the full sense of the term, an impenetrable conundrum that has defied our best attempts at resolution. The great temptation is the attempt to resolve it in either one direction or the other. The first is to assign divine causation simplistically to all that occurs, often with a glib “God is in control” response. I should note that those caught in the midst of grief or suffering sometimes or even often do find comfort in the thought of God being in control even in the midst of their hurt; even in the midst of their suffering they are not out of God’s hands, as it were. The problem with the glib response is that it implicates God also in the evil which occurs. If God is the ultimate “cause” of all that happens, he is responsible also for the wicked actions of thieves, rapers and murderers; such a position is untenable. Equally problematic from a biblical point of view is the attempt to resolve the conundrum in the opposite direction by writing God out of the picture entirely and assigning responsibility for all that happens to human freedom, or worse, to fate or chance. Not only does this dispense—often in a peremptory manner—with numerous passages of Scripture, but it cuts the world adrift from God, the creation from its creator. Further, it undermines the assurance of the believer in the reality of God’s presence and purpose as a faithful creator, while at the same time loading her with the crushing weight of being ultimately responsible for her life. While the ancient Israelites may not have pondered the relation between divine determinism and human responsibility, in our day and context the question is unavoidable. The power of Proverbs 21:31 lies in holding both sides of the conundrum together without an attempt at resolution, but placing the whole matter within a context of devotion and responsibility. How, then, might we approach this verse with all its difficult implications? Recognise that Proverbs is proverbial wisdom, general expressions of truth distilled from the observation and experience of life in the everyday world, all cast within a religious worldview. As such, the proverbs are not absolute truths revealed from heaven that apply in each and every circumstance regardless of context. Note also the difficulties of moving from an ancient text to the modern world. It is often the case that contemporary believers must discern the theological and religious significance of a biblical text while rejecting the form in which that message is conveyed. For example, the ancient Hebrews believed in a geo-centric universe; modern astronomy has shown that view to be incorrect. Modern readers of Scripture must have a sophisticated enough hermeneutic to disentangle the message of the Bible from the ancient form in which it is given. This is easier said than done as modern theology testifies. Nevertheless, the question must be put: are modern readers in a scientific age required to follow the ancient Israelites in believing that YHWH is the divine cause of all that happens? Finally, Proverbs 16:3 quoted above, indicates the overall orientation of Proverbs: “Commit your work to the Lord and your plans will be established.” All life occurs within the overarching providence, presence and direction of God and proper human response consists in the fear of the Lord and the acknowledgement of his sovereign rule and will. In the end, Proverbs regards providence as a mystery to be lived rather than a problem to be solved. The horse is prepared for the day of battle: preparations have been made, forethought, planning, the taking of counsel, the gathering and marshalling of resources; all these and more have occurred. Yet, having done all we can to prepare ourselves, our success or failure, victory or defeat is not within our hands, but in God’s. Therefore, we also must pray, trust, listen, and live humbly, obediently, righteously and wisely in the fear of the Lord. Years ago I read somewhere in John Haggai’s Lead On: “Work as though the results are entirely up to you; pray as though they are entirely up to God.” This advice, of course, does not even begin to plumb the mysteries of providence, but perhaps the practical nature of the advice is not entirely foreign to the counsel of Proverbs. My copy of George Hunsinger’s new book arrived on Monday, and I hope to read it as soon as semester is over and the marking is in. I had opportunity to meet with both George and Bruce McCormack at Princeton during my visit last December. 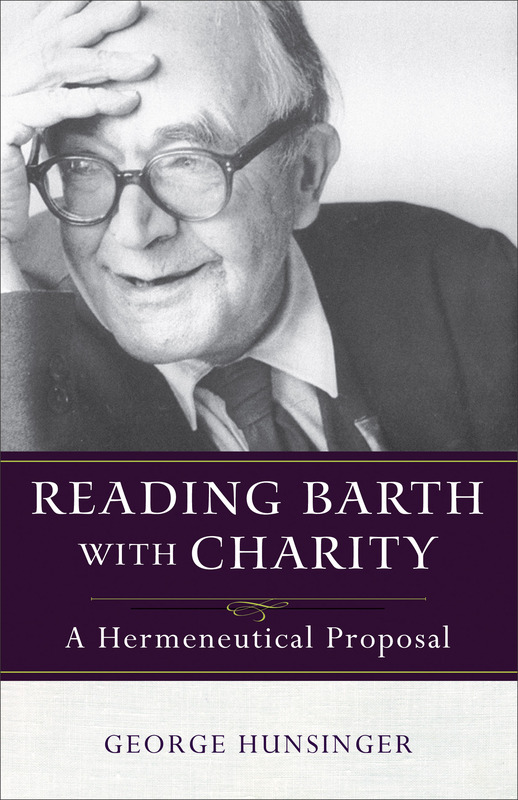 Perhaps the word “war” is a bit rich, but the interpersonal friction between the two eminent Barth scholars is sad. I have learnt a great deal from both and respect them both very highly, even if I don’t agree with them on every point. Another book that I enjoyed but also found funny was Christian Smith’s The Bible Made Impossible. It was funny because his sociological approach highlighted in a humorous way, the way evangelicals often use the Bible. This even-handed review treats the book fairly, and rightly suggests that Smith has caricatured evangelicals as a group. Smith’s attack on the word “biblicism” is perhaps too general, even though he carefully nuances what he means by the term. I still think that “biblicism” is okay, if what is meant by the term is a respect for and commitment to the authority of Scripture. Obviously there are different models for understanding that authority. One weakness of the review is that the author does not really engage with Smith’s constructive chapter on christological interpretation. The Christian is most dutiful servant of all, subject to all. In the argument of Galatians, the believer is freed from the law, having died to the law in Christ. To be freed from the law, however, does not now mean that one is lawless; the Christian is not free from the righteousness of the law, but from keeping the law as an attempt to obtain that righteousness. For too many Christians, however, Paul’s call to freedom has been understood in terms of a western concept of libertarian freedom, the freedom of the isolated and autonomous individual, the one who is freed from all other claims and restraints, free to be and do whatsoever one may wish. Nothing could be further from Paul’s mind in this passage. Here, Paul envisages a people who are so free, they are free even from themselves and their own freedom. They are so free, they are free to become servants (slaves!) of another. It is, of course, one thing to become a servant of God, but another and far more drastic thing to become a servant of my brother and sister. Thus, the freedom of the Christian is not merely freedom from, but also and more importantly, freedom for. It is not so much freedom to do as we would, but freedom to do as we might and as we should. Not freedom that grants total autonomy and self-sufficiency, and thus isolation and the self as the centre of all value, but freedom even from the rule of the self so that we are free to give ourselves to others and to God. Not a freedom, that is, which makes us a prisoner of ourselves and of our own lust for power and control, and thus a false freedom in which we become slaves to the hidden power of the flesh. Instead, the believer is called to be truly free and fully human through self-giving love that pours itself into relationship and community. The life I now live in the flesh I live by faith in the Son of God, who loved me and gave himself for me (2:20). Through faith in Jesus Christ the believer is set free from having to establish their own righteousness before God, and so also set free from the need to achieve, succeed and impress in order to establish their own worth and value. No longer need they engage in forms of manipulation that builds on fear of exclusion. No longer need they use people to bolster their own sense of esteem or worth. Being freed from the need to use people, the Christian is freed to love them instead, to give themselves for them, and to serve them as Christ did and does. But why would and should one love others? The Christian is united to Christ and nourished in his love by the Spirit, so that his love begins to take shape in their lives—by the Spirit. The Spirit shapes them into Christlikeness, bringing forth his fruit in their lives, with the result that they shall love. This is the new creation that religious performance can never produce. This is faith coming to expression in love (Galatians 5:5-6, 22). Being set free from the performance anxiety that makes him a slave to fear and causes him to control and manipulate others, the believer is freed to love. And who should one love? One’s neighbour, for in loving one’s neighbour the whole law is fulfilled. The believer is called to love neighbours near and distant. In a sense, all who inhabit the global village are in some sense one’s neighbour. 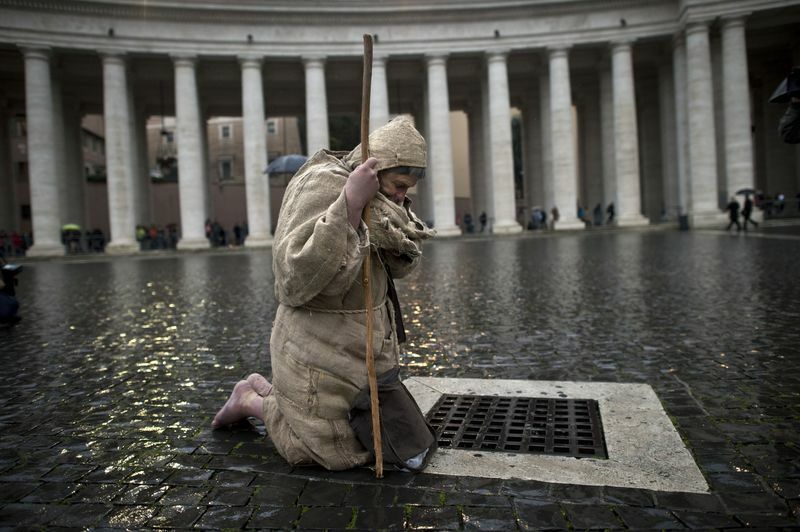 But it is particularly the person one encounters in their daily life, and the person who is in close proximity whether one would usually encounter or avoid them—remember Jesus’ story of the good Samaritan. And especially, those in the household of faith. All these we are called to love—not just in some theoretical way, but by offering concrete service to them. Paul’s vision of freedom encapsulates a profound vision of what it means to be truly human, as well as a profound spirituality of faith and love, of faith coming to expression in love. The Murdoch University International Theologian lectureship for 2015 has been announced – and begins next week. 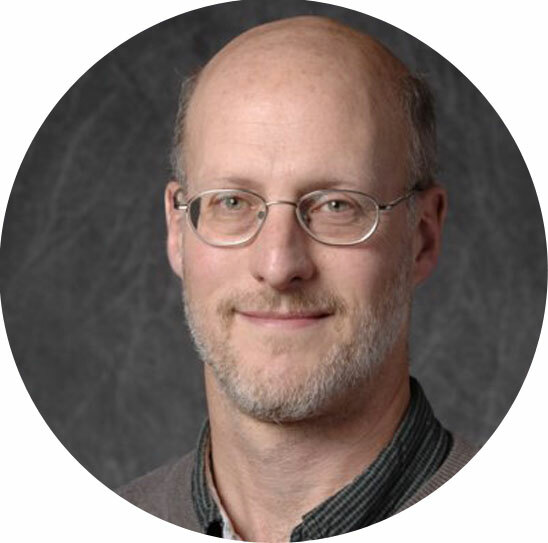 This year’s lectures are presented by Professor Brad Gregory of Notre Dame University (USA) on the theme “Embodied Souls and their Rivals: Human Nature since the Middle Ages.” RSVPs are due May 15th. The Spirit’s work in the operation of God’s providential ordering of things sanctifies the means and processes that lead to the production of Scripture, turning them to God’s holy purposes without diminishing their human, historical character. Thus, in calling Scripture “holy,” Christians are not making a comprehensive claim about the purity of the motives of the writers and editors of Scripture. These may well have been decidedly unholy. … Even in the face of such unholy motives and actions, Christians are committed to the belief that the triune God has revealed a passionate desire to have fellowship with them, even in the light of their manifest sin. Scripture is chief among God’s providentially ordered gifts directed to bringing about reconciliation and fellowship with God despite human sin. Thus, Scripture is holy because of its divinely willed role in making believers holy (Stephen Fowl, Theological Interpretation of Scripture: A Short Introduction, 12). 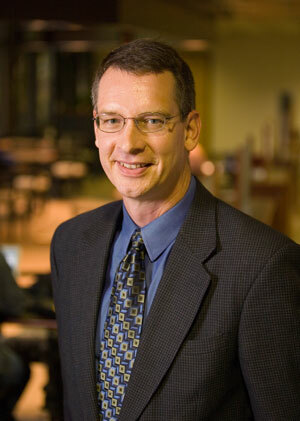 It is possible that many believers, especially evangelical Christians, will take exception to Stephen Fowl’s claim regarding the nature of Scripture. They would likely agree with Fowl that a part of the holiness of Scripture consists in the use God makes of it, but to say this is not to say enough. Rather, they might argue, Scripture is inherently holy on account of its inspiration and inerrancy. God’s self-revelation to humans is both the source and content of a Christian doctrine of revelation. Revelation is directly dependent upon God’s triune being and it is inseparable from God’s freely willed desire for loving communion with humans. … This recognition recalibrates the relationships between God, Scripture, and Christians in several interesting ways. For Christians, the ends of reading, interpreting, and embodying Scripture are determined decisively by the ends of God’s self-revelation, which are directed towards drawing humans into ever-deeper communion with the triune God and each other (6-7). Fowl goes on to argue that Scripture itself is a condescension to human sinfulness, though nevertheless a sufficient means for revealing the triune God to sinful people (7). Further, since God’s providential activity by the Spirit in some way guided the very human processes which led to the formation of Scripture, “Christians can both recognize the vicissitudes in the historical formation of Scripture and still treat Scripture as God’s providentially ordered self-revelation” (11). Eternal Father of my soul, let my first thought today be of you, let my first impulse be to worship you, let my first speech be your name, let my first action be to kneel before you in prayer. I praise and worship you, O Lord. Keeping me mindful of my eternal destiny as a child of yours. O God, who has been the Refuge of our fathers through many generations, be my Refuge today in every time and circumstance of need. Be my Guide through all that is dark and doubtful. Be my Guard against all that threatens my spirit’s welfare. Be my Strength in time of testing. Gladden my heart with your peace, through Jesus Christ my Lord. (John Baillie, A Diary of Private Prayer, 9).